The book is dedicated to Orlee, who has been an observer, an expresser and a user of language in all its forms - words, gestures, body, rhythm, pace, dance, expressions, books, stories, and…endless conversations. 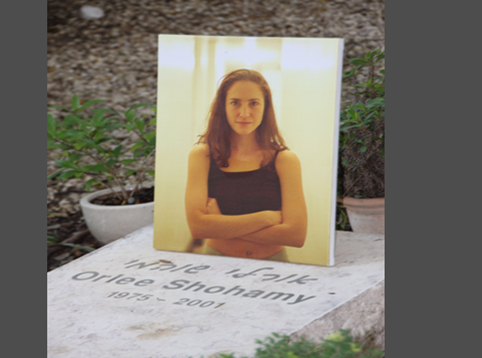 Orlee grew up in languages; born into English, immersed in Hebrew and languaging in multi-codes. She was schooled in English until age 6, acquired Hebrew in grade 1; and was convinced she lost all the English; some labeled her 'semi-lingual and studied her 'language attrition', but she was 'multi-coding', to say the least; Hebrew, English and so much more. After returning to Israel having spent a year in Toronto, she was convinced she lost 'all her Hebrew', but continued to 'multi-code', and so much more. When she became a writer, closely observing, feeling, touching and weaving the lives of young people in New York City, she did it via English, but in fact it was multiple-coding and so much more. Orlee lived in languages, through languages and with languages - words, worlds, music, dance, stories, books, jokes, roller blades, laughters, observations, and…talk, talk, talk. What is so amazing (Orlee's favorite word!) is how Orlee continues to 'language', to 'multi-code' through laughs, tears, joy, memories, longing, experiences, cries, observations, conversation and her own writings. We continue to language, never stop, through objects we see, people we observe, interpretations we make, episodes we laugh about, books we read, injustices we protest, scenery we view, ideas we challenge, pictures we take, routes we ride, thoughts we share, opinion we express, issues we argue about, people we love, food we eat, events we celebrate and mourn, songs we hear, places we continue to bike and blade. Our language has no 'fixed words', no full sentences, no pragmatic rules, but it does have the most beautiful melody; it is a true dialogue.. It is deep, profound and meaningful. It is a new language we are inventing as we go along in this continuous, infinite journey; we are learning it right now as we go along to new places, new experiences, new feelings, new energies, new sorrows, new pain, new laughter, new emotions, new ideas, new memories, new dreams and even new future.